Apple recently come out with 2 new fancy laptop computers. 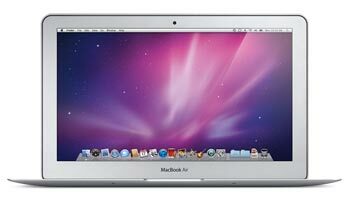 Macbook Air. It's thin and light. The special part is that it's got flash drive instead of the hard-disk, and does not have a DVD drive. Here's the spec for the smaller sized model. Apple Macbook Air commercial. Slick, ain't it? Note that they not only dropped the hard-disk for a flash-drive, they also dropped DVD drive. So, if you are thinking of watching DVD on the plane, you are a rube. The cool kids don't watch DVDs on a computer anymore. Instead, you watch video thru downloaded files or digital streaming, for example: Video On Demand. Watched the above video? Look at the mugs of those stinking Apple heads. I really get tired of them. Since about 2000, every year or two you have these folks peddling Apple design. I especially hate the Philip W Schiller guy. Overall, it's a very slick machine. Light. Comes with camera, mic, speakers, and all the wireless internet stuff. So you can cam with your buddies across the world anytime. Unless you are a rocket scientist, it'd suite your needs on the go. How much? One Thousand US Dollars! For the same price, you can get a normal Macbook that's got twice the muscle, but twice the weight and bulk. Or, you can buy a PC, for just $500, and you get 4 times the weight'n'bulk free.